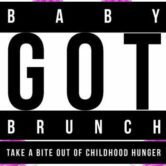 Baby got Brunch is hosted by A.Rose Hospitality, Bridget Davis Events, KID Presents: & various merchant associations and organizations. Our mission for this event is two-fold; to promote restaurants with innovative brunch menus, and use proceeds to support The Patachou Foundation and organizations focused on food access, putting wholesome food in the hands of school children in Indianapolis experiencing food insecurity. The Patachou Foundation believes that no child in our community should go to bed hungry. For more information visit: http://thepatachoufoundation.org. Our coffee partner will also be hosting “The League of Lattes”, a monthly barista latte art competition, that will be highlighted with our emcee DJ Indiana Jones. We are bringing back the very popular “donut wall” with Jack’s Donuts and introducing some new pop-up shop vendors such as Nine Lives Vintage selling vintage clothes.